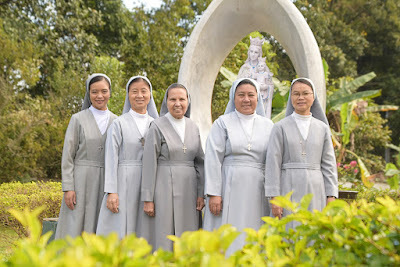 The House of PyinOoLwin, B. Maria Romero, was canonically erected on 15 August, 2002. PyinOoLwin, which is 3538 sea level above, is a small town situated in the division of Mandalay, the second largest city in Myanmar.The community offered, from the very beginning, a home to students from villages who would, otherwise, find themselves in moral dangers if boarding anywhere in the town. The boarding was also established in the hope of good vocations. The 60 boarding girls are the poor catholic girls coming from different parts and nationalities of Myanmar who are studying at the Public School in different Grades. The girls attend morning and afternoon classes until 3 p.m. When back from school the girls have, also, some time to work in the vegetable garden, to do the housework and to pray. The kindergarten was started opening since 2014, now it is recognized and support by the “”. We have 25 children. 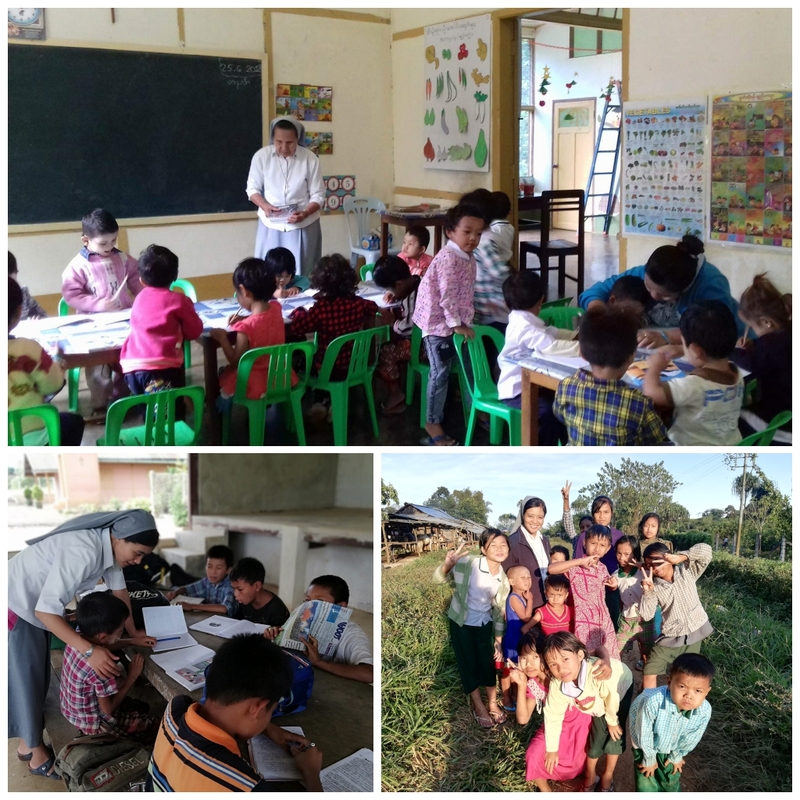 The house offers, also, the service of after-school tuition for about 15 poor children in Sin Lan village, who cannot afford to pay the private tuitions of their teachers. On Sundays we have Catechism class for the catholic children before mass for 2 hours and in the afternoon; we have “Oratory” together with the Buddhist children.